Android P features built-in support for notches, which refer to camera cutouts. This will make the devices at par with other mobile phones such as iPhone X and Essential PH-1. This feature will enable developers to alter the status bar height automatically to accommodate the notch. They can check if a device has a cutout and ensure that full-screen content flows around it. The new version presents a new look for notifications so that messaging apps are enabled with more informative alerts. With this revamp, the user will be able to see the messages with recent conversation and send AI-powered smart replies to these notifications. They can even see attached images directly in the notification. Again, this feature makes it very similar to the way notifications are handled by iOS. As a majority of Android devices today are equipped with multiple cameras, Android P has come with a multi-camera API to ensure native support for multiple cameras. With this, the apps will have more granular control over multiple cameras. Also, developers will be able to add features such as display-based flash and image stabilization to the apps. Another feature that Android P has introduced is WiFi Round Trip Time (RTT), which will facilitate precision in indoor navigation for the user with the use of IEEE 802.11mc Wi-Fi protocol. The apps will be able to get indoor positioning data by measuring the distance to Wi-Fi access points. The data will be accurate enough to pinpoint the user location within 1 to 2 meters. Since privacy is the key concern for users these days, Android P has done some work in this context too. It has come up with a restriction system for device cameras, sensors, and microphones which restrict the access by apps that are not active. With this system, an app marked as idle will not be able to access these features at all. The version brings built-in support for HDR VP9 Profile and HEIF, which means that the users can get better experiences with images and videos. While HDR empowers the device users to watch HDR movies on HDR-compatible devices, HEIF enables them to store images more effectively by compressing them to half the size of a JPEG yet maintaining their quality. In addition to these key features, there are several more that are making developers eager for the update. They can expect better performance for apps written in Kotlin. Also, it will render a smarter Autofill feature to make things easier for password managers. Additionally, support will be added for several operations including SpaceToBatchND, BatchToSpaceND, Pad, Mean, Dive, Transpose, and more. All in all, these features make this update an awaited one. 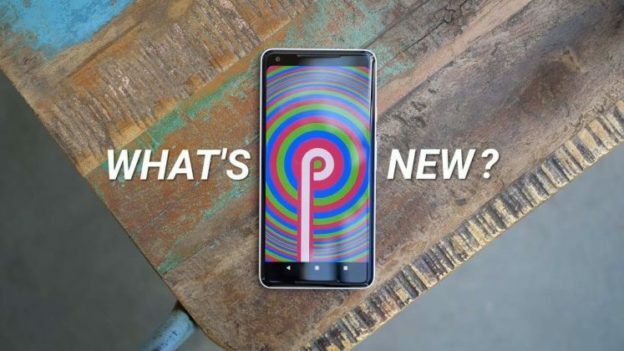 Although there is still time for the final Android P version to be officially released, it is time that developers gear up so that they can create apps that leverage it once released. At Android Developer, we are a trusted name for Android App Development in India and abroad. We specialize in creating high-tech Android apps that cater to diverse industries and requirements. Connect with us to hire android app developers for your next project. Tags: Android Apps Development on March 13, 2018 by admin. The information above is very useful and the updates are really worthy. Thanks for publishing this type of blogs. Wish i could check many more information like this.